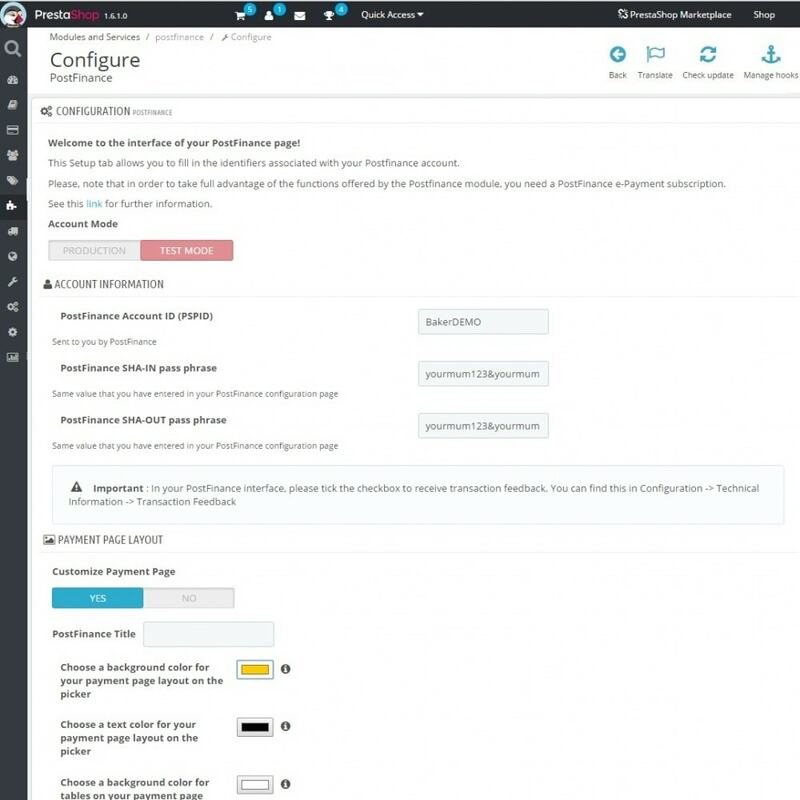 The PostFinance Payment module for PrestaShop allows you to easily integrate payments in your shop. Enjoy a quick and safe payment gateway for online purchases. Offer many popular payment methods in Switzerland such as PostFinance Card and PostFinance e-finance. Expand your international customer base by allowing your customers to pay in different currencies and different languages as well as other widely-used international credit cards. 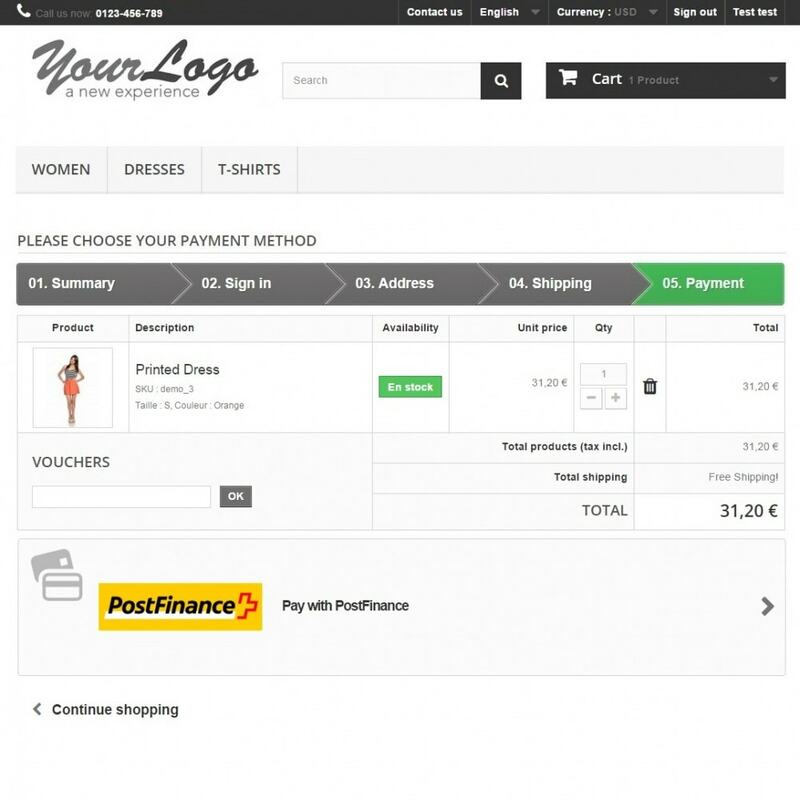 Postfinance module allows you an easy integration into your online shop. Maximum security through PCI DSS certification (Payment Card Industry Data Security Standard). PCI DSS is a standard for payment transactions. This module allows you an easy switching between test and production mode. 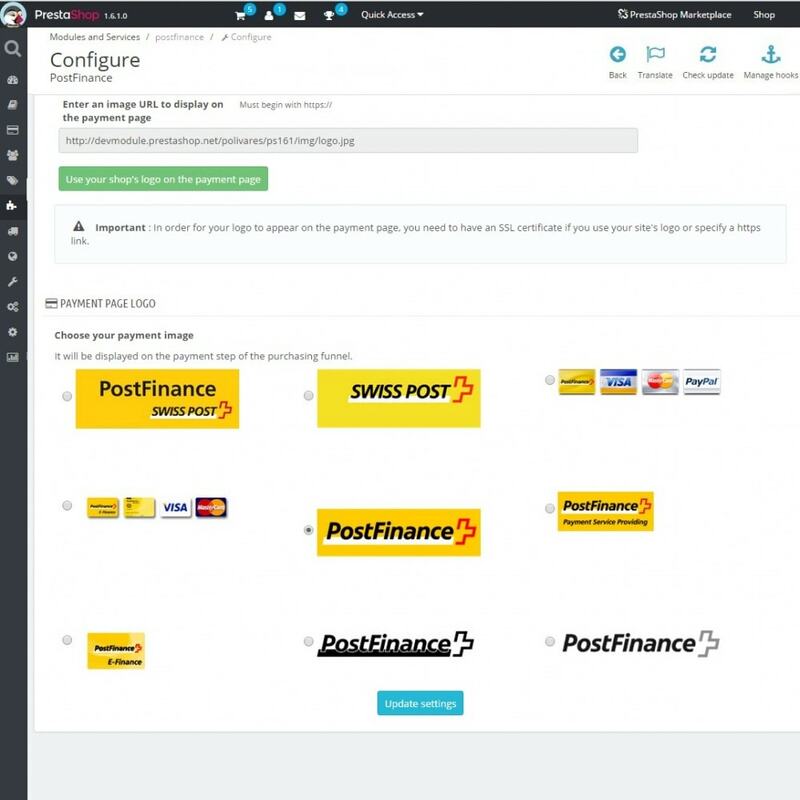 With Postfinance E-Payment module you can modify payment page by selecting title, logo and colors of payment page that reassure your customers. 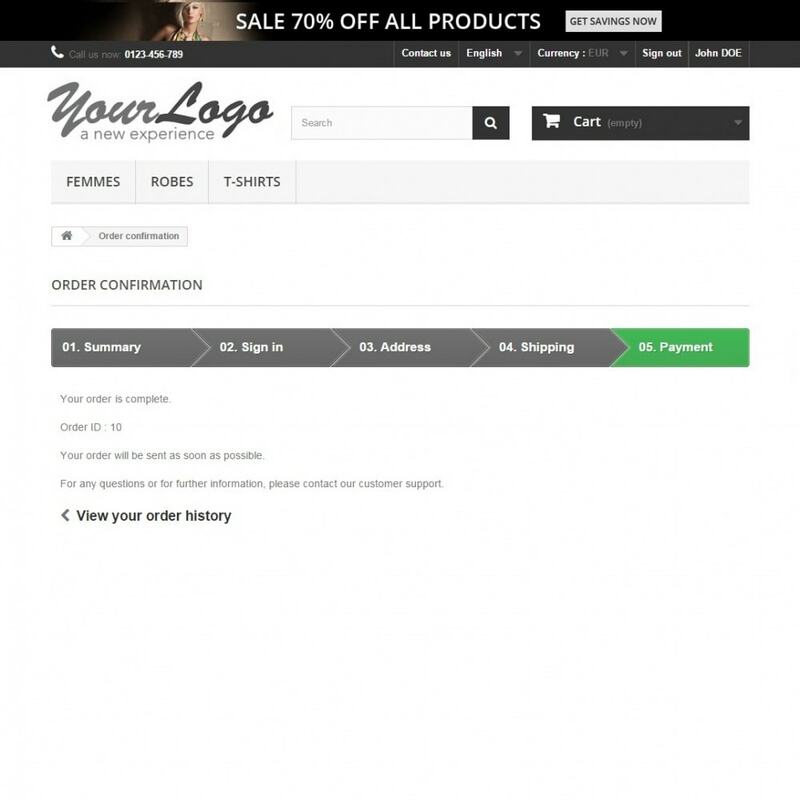 Module also supports one page checkout native module as well as multi-language and multi-currency payment page. This module comes with a complete user manual. Note: In order to take full advantage of the functions offered by the Postfinance module, you need a PostFinance e-Payment subscription. 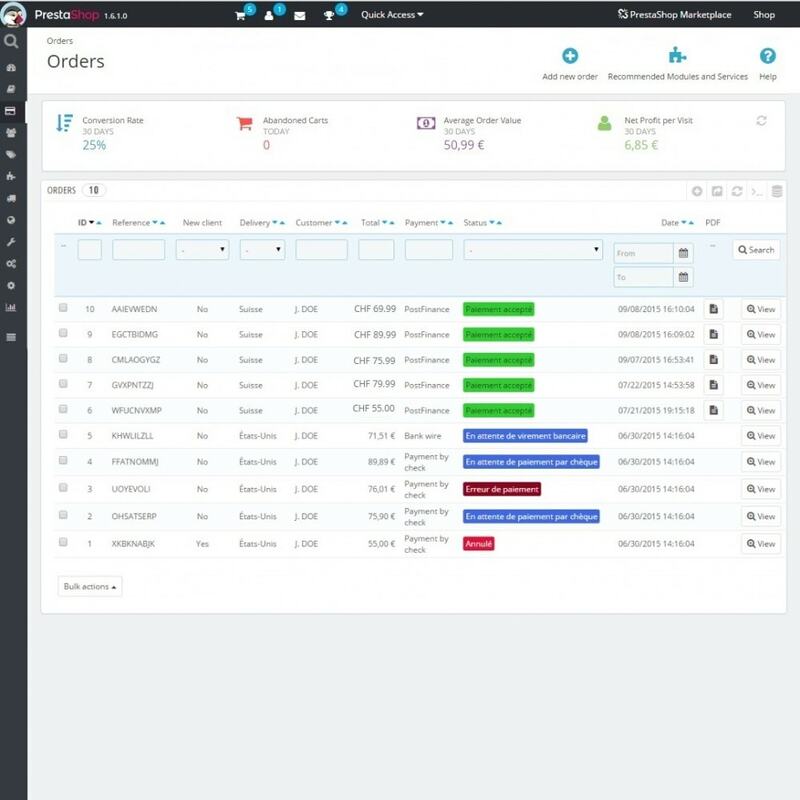 Also, the payment methods on Postfinance interface will adjust automatically depending on the services you choose on the Postfinance contract. Please, note that means of payment are displayed on the PostFinance payment interface of your shop are according to your type of contract. Information related to the General Data Protection Regulation (GDPR): this module uses an external service, thus its compliance with this European regulation depends on the compliance of the involved service. 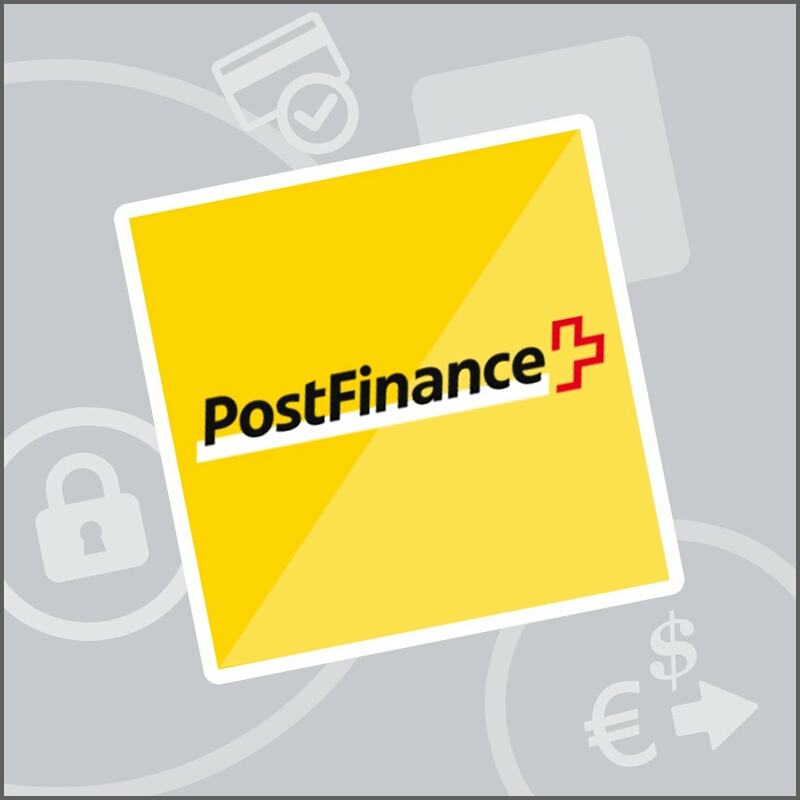 We invite you to contact PostFinance directly for more information. El pago de la factura es muy popular en muchos países. Con este módulo, puede ofrecer el método de pago de facturas a sus clientes registrados con el fin de proporcionar una experiencia de compra segura. Blue Plate Theme is specially designed for food and vegetable store. This Theme has a clean and professional look with fully responsive and includes a number of modern & unique features that makes it easy for you to build a stylish website.